It’s impossible to look into a crystal ball and glimpse what the future of wireless technology holds. But we can analyze current trends, monitor new advancements, and create a plan for staying ahead of the curve. One thing is clear: many facilities still rely on legacy systems such as broadband repeaters or Wi-Fi to handle their day-to-day wireless needs. It’s not surprising that certain facilities haven’t made a change; these systems work well in many situations. If you haven’t heard complaints from employees, customers, or building tenants about poor coverage, then it’s easy to continue doing what you’ve always done. Here’s the challenge. The daily demand on facilities’ wireless networks is constantly increasing. The Internet of Things and our technology-driven lifestyles both play significant roles in this demand for greater bandwidth. For example, your Wi-Fi system may be fine for browsing the web or checking email; however, repeaters effectively halve the bandwidth for any devices connecting to them. The repeater receives the signal, processes the signal (which takes time) and then rebroadcasts the signal – and does this in both directions, from the router to the computer and from the computer to the router. Many companies’ Wi-Fi systems have been in place for several years and were designed for a simpler digital time. They may not be the latest (802.11ac) Wi-Fi platform, or they lack the density of coverage required today. The result? Significant slow-downs for actions that require more bandwidth, like streaming multimedia, video calling/conferencing, or distributing large files using a centralized server. Another common scenario is that your building installed a repeater or wide-band booster to handle in-building coverage a few years ago, and that brought the ability to continue your cell phone call indoors; however, many of these repeaters and wide-band boosters were not designed for 4G LTE coverage and won’t support you when the carriers shut down their 2G/3G networks between 2019 and 2021. Not to mention, repeaters pull their signals from the towers around you, which degrades the signal quality through the amplification process coming to your phone, as well as back to the tower. This means, while you will be seeing four bars, you are getting less performance than if you were on a dedicated signal source (microcell / efemto / small cell / DAS). 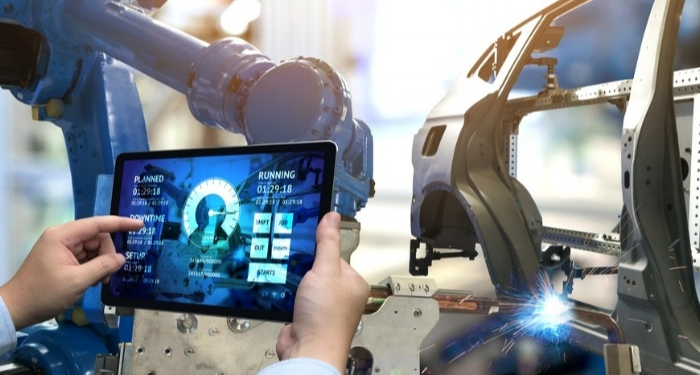 The point is, while your legacy system may be fine for now, it won’t be long before you’re dealing with issues of decreased performance and reduced coverage. Employees and visitors to your facility have come to expect reliable wireless coverage wherever they go—making it all the more noticeable if your facility’s coverage is lacking. 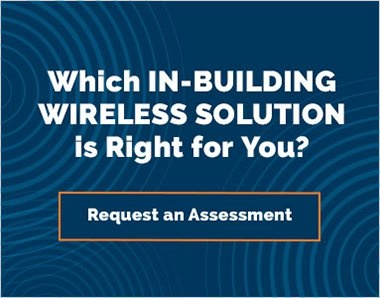 When it comes to getting your facility ready for the wireless future, the goal is to build a solution that can easily adapt to meet the ever-increasing demand for reliable coverage. You may be thinking, I don’t have the budget for a new in-building wireless system. The thought is certainly understandable. Many facilities haven’t specifically planned for the cost of a new system, especially if their legacy system is still serving them well. In reality, though, waiting only increases your costs over time. First, as the legacy system fails to meet the increasing demands for coverage and performance, it will need to be continuously supplemented. Not only does this lead to an increasingly complex network, but the infrastructure costs add up. The budget concern is especially relevant to new construction. If budgeted upfront in a project, a reliable, effective in-building wireless solution amounts to only a fraction of the total project budget. If not planned for in advance, these costs can represent a large “gotcha” expense. 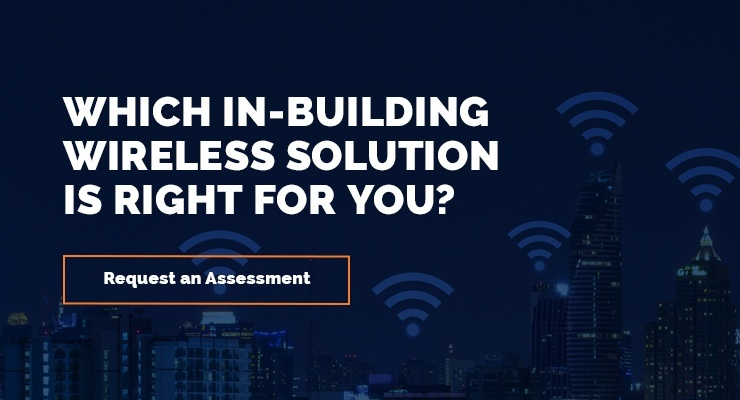 Pricing for in-building wireless solutions has actually come down significantly over the past several years. Planning for a system upgrade now will help your facility avoid costly upgrades (some band-aid solutions cost more than half of a new solution) in the future. The safety of your tenants and visitors is of highest priority—regardless of code requirements. As business and technology continue evolving, prepare your facility for the future by planning an in-building wireless system that can adapt to increasing demand.